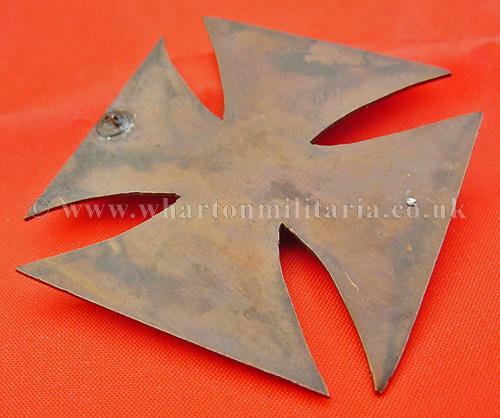 An interesting 'trench-art' WW1 1914 Iron Cross 1st Class, measuring 45 x 45mm, it looks to be made of copper shaped to match the Iron Cross 1st class. 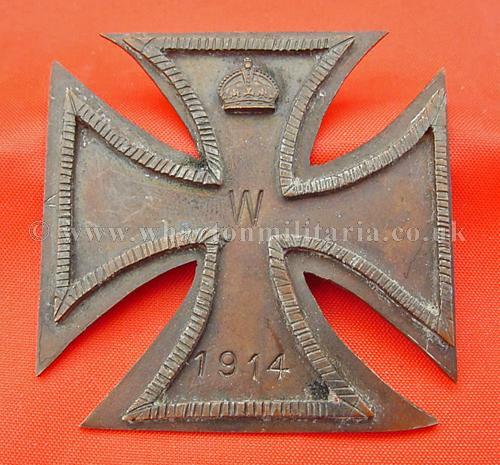 The front follows the design of the Iron Cross with the ‘silver’ frame outlining the cross shape, it has a stamped ‘W’ in the centre of the cross and similarly ‘1914’ in the bottom cross arm, in the top arm is the ‘Imperial’ crown though this is made from a Kings Crown off a British cap badge. 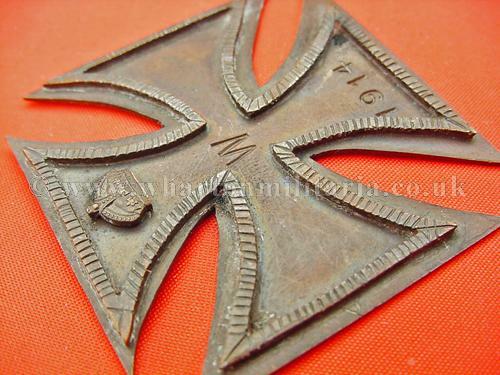 The rear of the cross once had a pin fixed to the back and possibly a hook too, there appears to be a metal spur in the hook position. 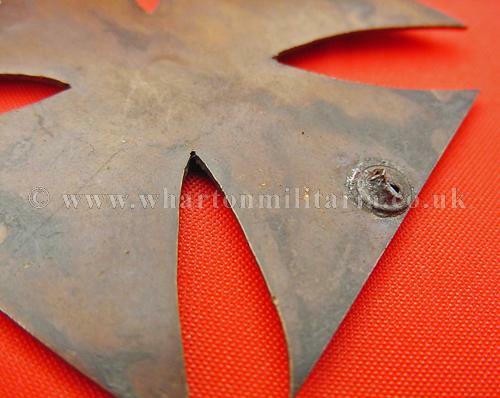 This is a fascinating item that looks to have been something crafted during the war as either a piece of trench art to while away time or perhaps something of a mockery to tease the German Soldiers. 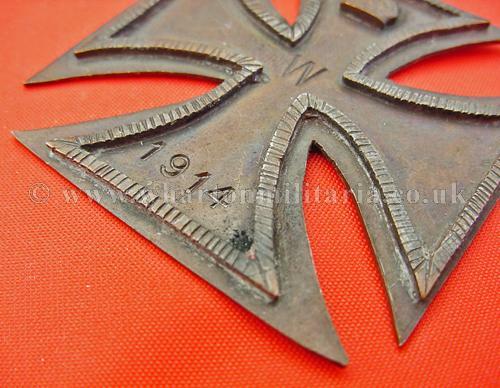 Equally, it may have been a German field made item, my gut feel is its British made mainly due to the British army crown. A little something different that has been carefully made. Nice patina and overall quality.